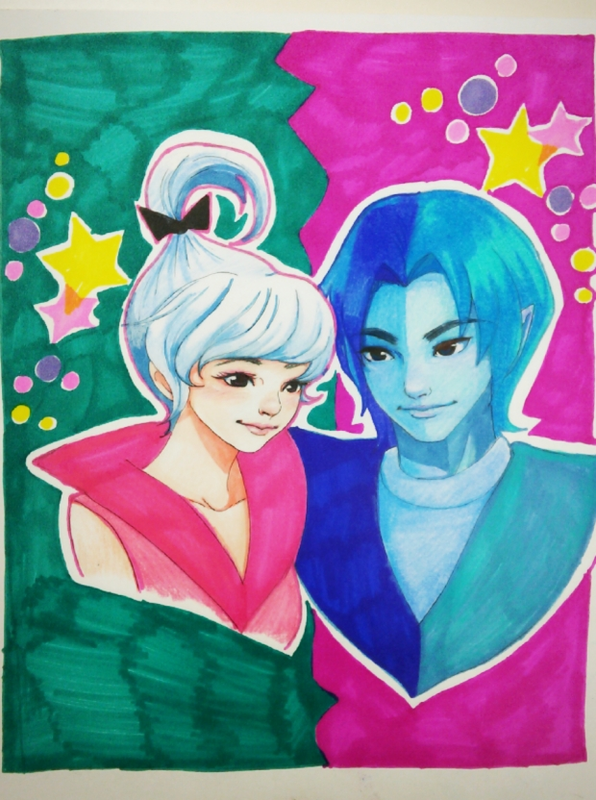 If you can't tell this is a pic I did of Judy Jetson and Apollo blue from the Jetsons movie... which came out sometime in the late 80's beginning 90's. and it was one of my fav movies more so due to the songs and the romantic interest of Judy that is Apollo Blue. had this song stuck in my head for the last couple days and wanted to draw a pic for it.